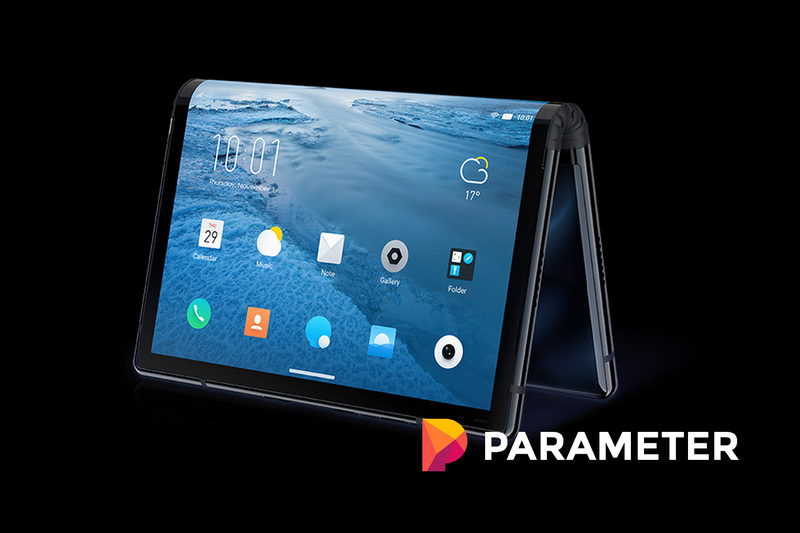 After hinting at it for quite some time, Samsung has finally revealed a foldable smartphone during its developer conference. The electronics company calls their new technology the “Infinity Flex Display,” which enables its tablet-sized phone to fit within one’s pocket. To hide the design, Samsung dimmed the lights during its presentation, as reported by The Verge. Justin Denison, SVP of mobile product marketing, defended the choice saying, “there’s a device inside here, and it is stunning”. The phone has a cover that acts as a traditional phone, with the tablet display measuring 7.3 inches. Interestingly, Samsung’s new device can run three apps at once with its “multi-active-window” feature. The company will mass produce their display in a “matter of months,” but the exact timeframe is unknown. However, Samsung is not the only company with this concept. Reports say that Huawei will come out with a foldable handset next year. That, and Lenovo and Xiaomi have hinted at their own bendable projects. LG is also working on pliant OLED displays alongside rollable televisions. Intel, while not working on foldables per se, the group is focusing on dual-screen experiences. Similar, but different enough. Even Microsoft is going after multiscreen gadgets. Panos Panay, chief of the Microsoft Surface, has called a foldable Surface machine his “baby.” We can expect to see even more of these tools over the next few years. Fortunately for early adopters, Google has officially revealed Android support for these “Foldables.” At the Android Developer Summit, VP of engineering Dave Burke claimed that Google is “enhancing Android to take advantage of this new form factor with as little work as necessary,“ reports the Verge. The guidelines have room to grow, however, as they are only a basic framework for Android developers. Google and Samsung are working closely to decide how Android will work with Foldables. Right now, the software developer will ensure it is a device-wide feature. In part, this support is Google fighting against fragmentation – shorthand for devices that don’t all work natively with its operating system. While this may sound controlling, Google has to be strict on operation otherwise hardware makers will all have their own process and nothing would work together. Google is getting ahead of this issue with Foldables. Director of product management, Sagar Kamdar, reveals that Google is “working closely with our OEM partners to ensure we have a common API surface for developers. In doing so, Google has developers take advantage of an existing feature known as “screen continuity.” Essentially, this trait is the API that tells Android apps when to change screen size. “This new form factor is therefore simply adding new use cases to this existing pattern,” says Kamdar. Developers must use this feature correctly for folding to work properly. While most Google apps are adaptable, some third-party software is not. Some apps on Chrome OS, for example, hardly work in windowed mode, let alone a foldable feature. While the blame falls on application developers, Google is “exploring many different ways to ensure a seamless foldables experience for users,” and will probably implement a mass solution. “More to come, but nothing to announce today,” says Kamdar. While the concept of foldables is exciting, we’re still unsure on a lot of aspects. Will foldables be an entirely unique experience or merely a modified version of the traditional Android OS? How will the market change to accommodate these devices, or will they represent a small percentage of users? Only time will tell, but we can expect that answer within the next year as more information is released. Blockchain/cryptocurrency and gaming journalist. I've been a gamer for as long as I could hold a controller. When not playing or creating gaming content I'm always out looking for a new spot to eat.